OLD PARKED CARS. 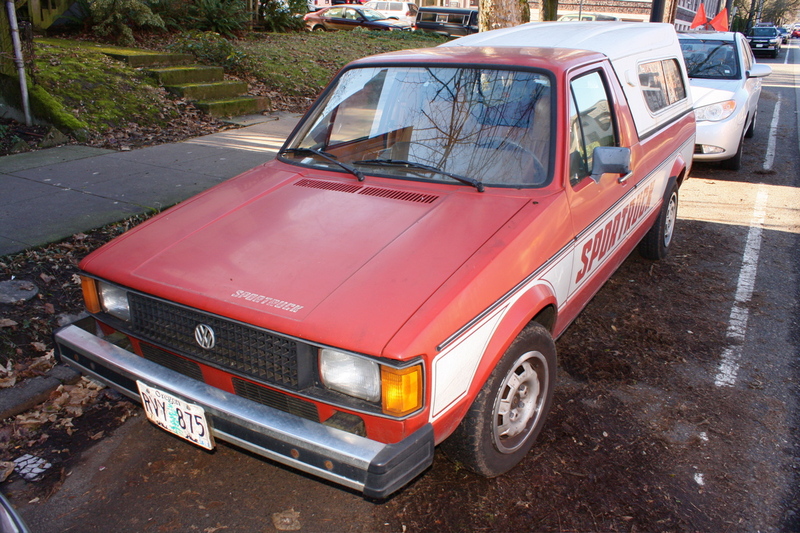 : 1981 Volkswagen Rabbit Sportruck. 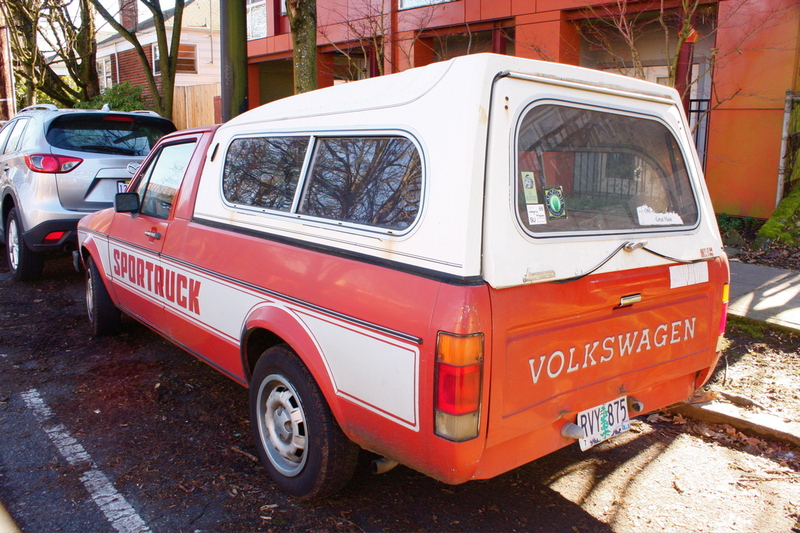 Wait, this is a VW Rabbit what? 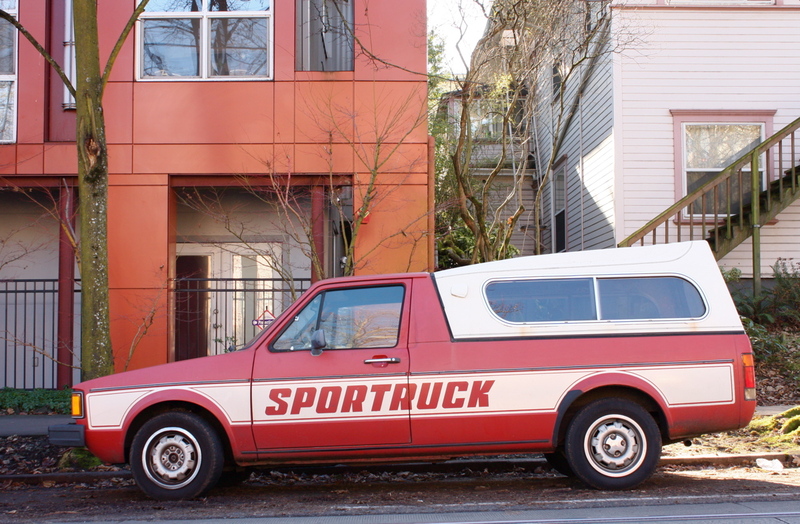 Is pronounced spor truck or a sport ruck? I would get it without the graphics. Modern or contemporary I prefer pictures to letters on vehicles.